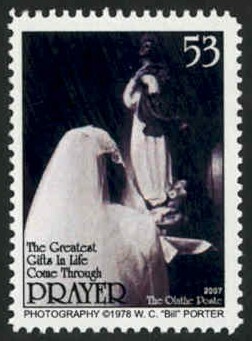 The scan of this stamp does not do full justice to the fine reproduction of a 1978 photographic fine art (silver bromide) print of a bride in prayer, captured during her wedding ceremony by photographer W. C. "Bill" Porter. 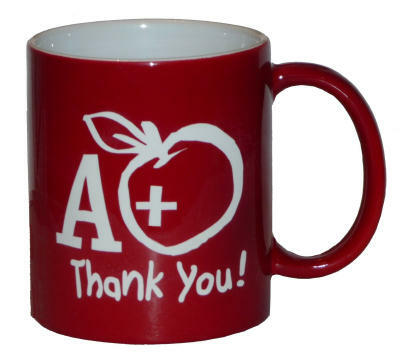 The artistamp was released in late November 2007 by The Olathe Poste on cover for the Christmas holiday season with matching holiday greeting card by the company to it's customers. A quantity of 854 stamp/card combinations were mailed, postmarked November 30, 2007, to U.S. addressees. A follow-up mailing to foreign customer addresses (31 covers) occured on December 3, 2007 utilizing a pictorial Mailer's (MPP) postmark for the season. The collectible covers bearing the Bride In Prayer stamp can be authenticated with these two cancellation dates postmarked at Olathe, Colorado, USA. Those collectors fortunate enough to have one of the U.S. first day covers in their possession will note that the Bride In Prayer stamp is placed in the upper right hand corner of the A7 envelope and "cancelled" with a special, holiday postmark bearing the words "Season's Greetings" in large letters. While it would appear that this decorative artistamp was used illegally to pay for services rendered by the USPS as a First Class Mail piece, the observant will notice upon closer inspecton that the postmark itself specifies that the postage fees for transit and delivery of the company's 2007 Christmas card mailing was actually paid for under their Standard Mail (bulk rate) Olathe, Colorado permit (permit number 5).